We’ve all been faced with choices in our lives, those ones that could very well affect us for years to come and some even for the rest of our lives. They’re never easy as we agonize over which path to take, which consequences our actions might carry. Wouldn’t these often stressful occasions be made a little less so by dancing? One Ottawa company thinks so and they are willing to meet you at the Fork in the Road this weekend to show you how! “The show is about people making key decisions in their lives and what it might mean for them. It highlights six people who are going through a significant turning point in their life and the choreography are works that interpret these important life moments,” says Abigail Tulloch, the Artistic Director of Ottawa’s PushPULL Dance Company. Tulloch was faced with one of her own fork in the road decisions when having to find a balance between her job in the corporate world and her passion for the artistic one. She began dancing when she was three, played piano, was involved in acting classes all before attending law school. She was told about PushPULL from a friend she once danced with and decided to check out one of their shows. Though she hadn’t danced regularly since starting university, she was so taken by the performance that she later auditioned for them. Since starting down that new path she’s never looked back. PushPULL was not only a chance for get Tulloch dancing again. 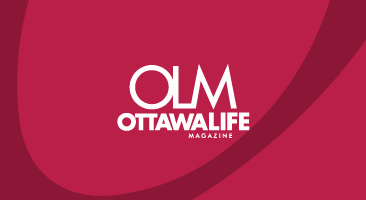 She tells Ottawa Life that it was also a place to find a home away from home. The company is more like a family to her, a creative world that fosters inclusiveness in a non-judgemental, hard working environment. After 7 years she’s always felt the company to be a welcoming place to get rid of the daily stresses she may accumulate with her primary career. Despite their various outside careers, the Company is unified by a common desire to dance. Founded in Toronto in 2004, PushPull expanded into Ottawa in 2014 when Tulloch made the move to the Capital. “After visiting many different adult dance programs through the city and drop-in classes, and talking to other dancers in those classes, I found there would be a strong interest in the Ottawa community for this type of company,” she says adding that the Toronto faction was all aboard with branching outward and that the first year saw an additional 20 dancers join the company’s new group here. Both groups work in synch to help one another. 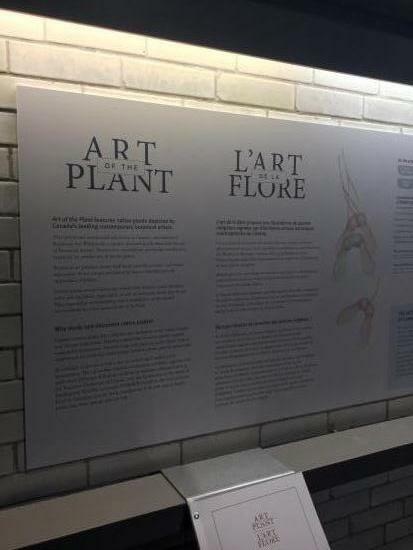 The basic structure of the both facets of the company may be the same but Tulloch says that each year both productions have produced shows very different from one another. Fork in the Road, for example, was a theme the Ottawa Company came up with last August during a brainstorming session. The idea was to pay tribute to significant life moments by way of diverse choreography and various genres. Dance, like life, can be very frenetic and ever changing. Things are not always set to one particular pattern and that will be represented in this show by styles like ballet, jazz, and ballroom, to name a few. Scottie Irving, the band’s keyboardist, recalls Tulloch walking up to them with “the most sparkly eyes” he’s ever seen to talk about getting them involved with PushPULL. The more they learned, the more they felt they were a perfect fit. The Company motto of “dancing professionals, not professional dancers” was very appealing to the band. “(To us) that means that all the dancers are serious about dance while pursuing other activities professionally so each of them brings a different perspective to the art,” says Irving. Though the band have worked with dancers before, the larger number participating in this show is a new experience for The PepTides. Wanting to keep with the theme, they’ve created what Irving calls a “short suite” of their music that is loosely based around those times you have to make a choice between different paths in life. Tulloch says she felt it was time to push the envelope with their annual Mother’s Day weekend showcase and seeing what the band has contributed is exactly what she was hoping for. 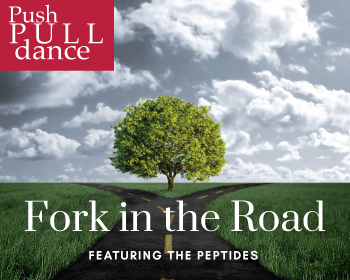 PushPULL’s Fork in the Road takes place May 12 and 13th at Centrepointe Theatre with proceeds of every adult ticket sold going towards the Company’s “I Love Dance Scholarship”. $500 will be given to a young dancer enrolled in a local dance program that demonstrates their passion for dance.